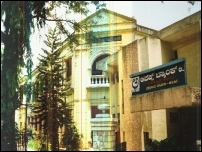 The Bank was registered on 10th November 1915 under the name and style of “The Mysore Provincial Cooperative Bank Limited,” under the Mysore Co-operative Societies Act of 1905. Then , the Bank was not an Apex institution, as it was not exclusively meant for financing the co-operatives in the then State of Mysore. Another Bank called the Bangalore Central Co-operative Bank Limited, Bangalore (which was later converted into an urban bank), which was registered in 1905, was also financing the co-operatives. The bank owes its origin to Sri. M.A. Narayan Iyengar, B.A., B.L., who was the Registrar of Co-operative Societies at that time. The Bank was founded with the objective of financing, inspecting and supervising the co-operative societies in the Mysore State. Subsequently, several district co-operative central banks with the jurisdiction of a district were registered. Five such district central banks were started. But their working was not satisfactory and they became defunct. As such, the provincial bank started financing the societies directly. Besides granting of loans, the Bank served as an outlet for investment of the surplus finds of the co-operative societies in the State. The Bank thus acts as the balancing centre of the Co-operative Movement in the State, safeguarding its interests. 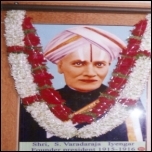 To amalgamate the Mysore Provincial Co-operative Bank and the Bangalore Central Co-operative Bank. To create a new Apex Bank. To convert the Central Co-operative Bank into an urban bank dealing only with the individuals and to reorganize the Provincial Co-operative Bank into a new Apex Bank. 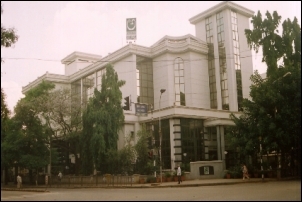 The Bangalore Central Co-operative Bank opposed the amalgamation with the Provincial Co-operative Bank. Thus, the creation of a new Apex Bank was out of question. The Government therefore accepted the third suggestion made by the Committee. Accordingly, the Government passed orders on 14/15.9.1925 permitting the Mysore Provisional Bank to get itself converted into an Apex Bank with the jurisdiction extending over the entire State for financing the co-operative societies exclusively and the Bank thereafter was named as the Mysore Provincial Co-operative Apex Bank Ltd., popularly known as “Apex Bank”. In the beginning, the Bank was advancing long-term loans through agricultural credit co-operatives for land improvements and redemption of prior debts. Large amounts were given for the above purposes. After the organization of Central Co-operative Land Mortgage Bank in the year 1929 and Primary Land Mortgage Banks at the taluk level, the Bank had to give up this model of business. On account of depression between the years 1925-30, the value of lands and the prices of agricultural produce fell very steeply and the Bank had to face a lot of difficulties in the recovery of long term loans advanced. However, during Second World War, there was rise in the land value and agricultural prices and the Bank could therefore recover a major portion of its dues. In order to meet the loss of business on account of stoppage of long-term loans for land improvements and redemption of prior debts consequent on the organization of Central Land Mortgage Bank, the Bank started financing of long-term loans for construction of houses through House Building and House Construction Societies. Besides, on account of Second World War, there was great stimulus for consumer stores activities for distribution of essential commodities through co-operatives. The Bank undertook the financing of these consumer societies in the form of cash credit loan. The financing of House Building Societies continued up to the year 1950 when a separate Apex Institution called the Mysore State Co-operative House Building Corporation was registered. The Government thereupon directed the Bank not to issue loans to the House Building Societies. This was a period of crisis in the history of the Bank. The Bank had to satisfy itself by financing a few marketing societies by way of crop and produce loans and a few stores societies. Fortunately for the bank, consequent to the amendment to the Reserve Bank of India Act during 1953-54, the RBI suggested that the State Government should step into strengthen the capital structure by contributing Rs. 5 lakh towards share capital of Apex Bank. Accepting the proposal, the State Government contributed Rs. 5 lakh towards share capital and rehabilitation grand of Rs. 4 lakh to meet anticipated bad debts. During the year 1956-57, States were reorganized on linguistic basis and the new Mysore State with 19 districts came into existence. Since there were District Cooperative Central Banks in all the integrated districts, all the District Cooperative Central Banks came under the jurisdiction of Apex Bank. Further the State Government notified the Apex Bank as the State Cooperative Bank for the entire state and with the expansion, the responsibility of the Bank increased considerably. The Bank stopped financing of primary societies directly. The membership and share capital held by primary societies in Apex Bank was transferred to the respective District Cooperative Central Banks. There was all round progress in the cooperative movement with the reorganization of the State and also in all spheres of activities of the Apex Bank like share capital, reserves, deposits, borrowings, lending, profit etc.